Our showroom is located in Crondall, Surrey an hours drive from London. 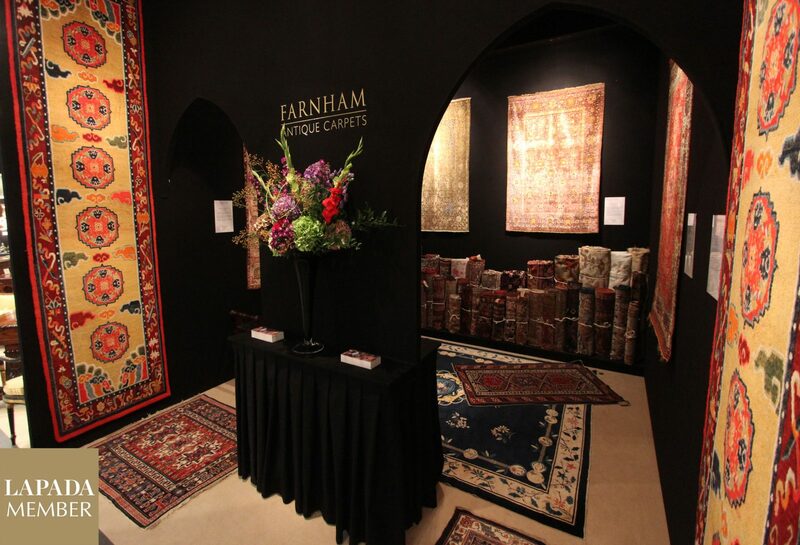 View any of our antique & contemporary rugs in-situ. View the latest antique & contemporary pieces added to our inventory. We have been members of the British Antique Dealers Association (BADA) and LAPADA the Association of Antique & Art dealers since 2008. Having exhibited at both of the fairs annually in Chelsea and Mayfair these antique and art fairs are two of the best and most respected in the UK. The BADA & LAPADA fairs have over 100 exhibitors who present work from across the art, antiques, design and decorative arts spectrum including jewellery, furniture, rugs & carpets, tapestries, antiquities, clocks, ceramics, silver and fine art. Authenticity is assured thanks to a vetting committee of industry experts and specialists pre-vetting everything on sale. The quality of items on offer is exceptional with some of the best antique and art dealers in the UK and Europe exhibiting. If you would like to visit us at either the BADA fair in March or the LAPADA fair in September please subscribe below to receive invitations and our infrequent newsletter. All details are held securely and not shared with any third parties and you can update anytime by updating your preferences. 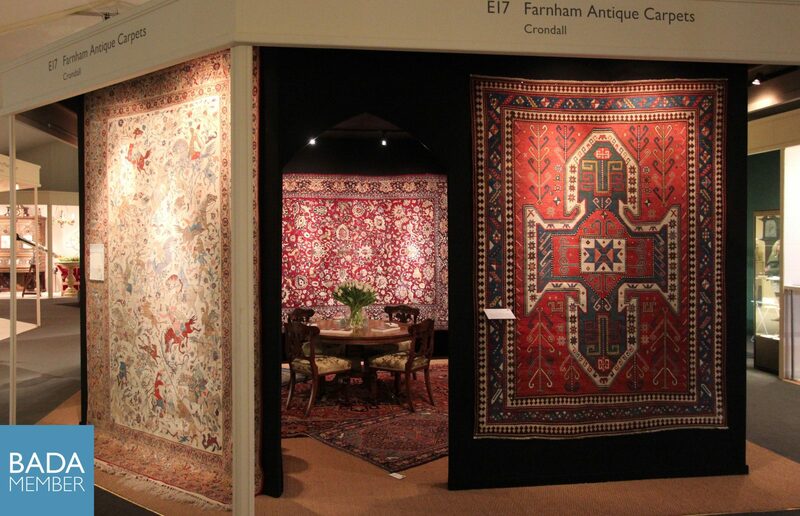 View the finest collection of rare rugs & exceptional antique carpets.